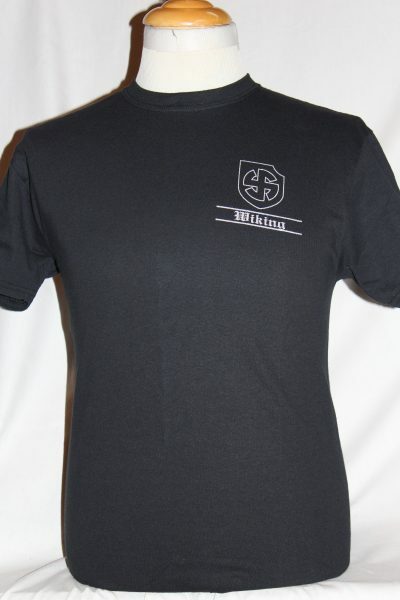 The 5th SS Wiking Panzer Division T-shirt is a single side print in black. 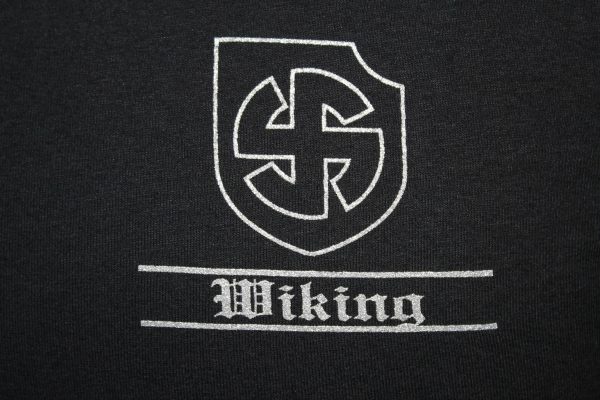 Front Design: Wiking 5th SS insignia on left chest with text. First largely non-german international division founded 1940. Volunteers from Denmark, Sweden, Finland, Norway, Estonia, Netherlands, and Belgium fought on Eastern front. Gildan 100% cotton 6.1 ounce preshrunk heavyweight shirt. Taped shoulder to shoulder, double needle hemmed for insured durability. This shirt wears well and will retain its original color and decoration after multiple washings. Note, we use the best quality preshrunk shirts available!